What is the nature of the Qur’an? It might seem a straightforward question, but there is no consensus among modern communities of the Qur’an, both Muslim and non-Muslim, upon the answer. And why should there be?On numerous occasions throughout history, Muslims from different legal schools or denominations, as well as Christians, Jews, Zoroastrians and others, have agreed to disagree. The Qur’anic interpreters, jurists and theologians of medieval Baghdad, Cairo and Cordoba coexisted peacefully in spite of their diverging beliefs. Seeking to revive this ‘ethics of disagreement’ of Classical Islam, this volume explores the different relationships societies around the world have with the Qur’an and how our understanding of the text can be shaped by studying the interpretations of others. 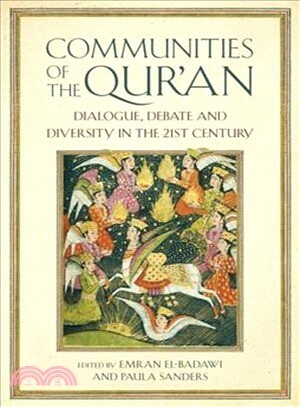 From LGBT communities to urban African American societies, it represents the true diversity of communities of the Qur’an in the twenty-first century, and the dialogue and debate that can flow between them. Paula Sanders is a professor of history and the director of the Boniuk Institute for Religious Tolerance at Rice University. Emran El-Badawi is an associate professor and program director for Middle Eastern studies at the University of Houston.